So, in general, Vegas isn’t really my thing. I’m not a gambler, I’m too cheap to drop a couple hundred bucks on a show, I’m not a raging partier, and I’m not big on crowds. 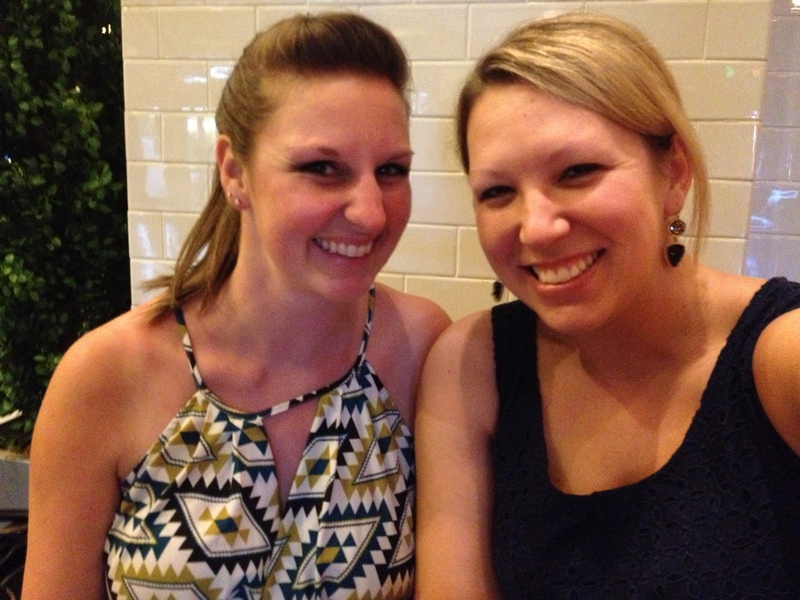 I do, however, LOVE sun and food…and Vegas has both in spades. Getting ready for a nice dinner! Bree and I made sure to have a couple great meals while we were in town, so I’ve included below in case you have a trip coming up and would like recommendations. 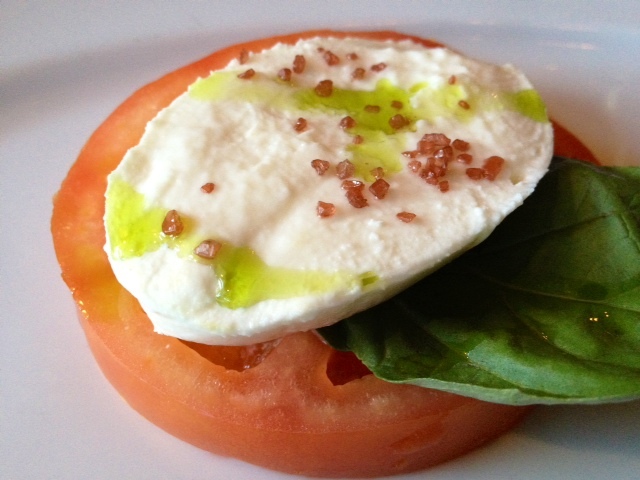 The first was at Terra Verde, an Italian place in our resort (Green Valley Ranch). Okay, truth is I’m actually already home again, but I already posted on one of my two absolute favorite meals while I was on my two-and-a-half-week European adventure, so I thought it only fair to post on the other one. And—shocker—it features the legendary talents of the heavenly black truffle! We spent a day driving around inner Istria, in northern Croatia. It’s a peninsula that is much like Tuscany, full of vineyards, agriculture, adorable old hilltop towns, and truffles. Our last stop of the day before heading back to Rovinj was Motovun, a suitably picturesque town complete with an old wall and tower. The restaurant was actually in the inner gate wall, tucked underneath. 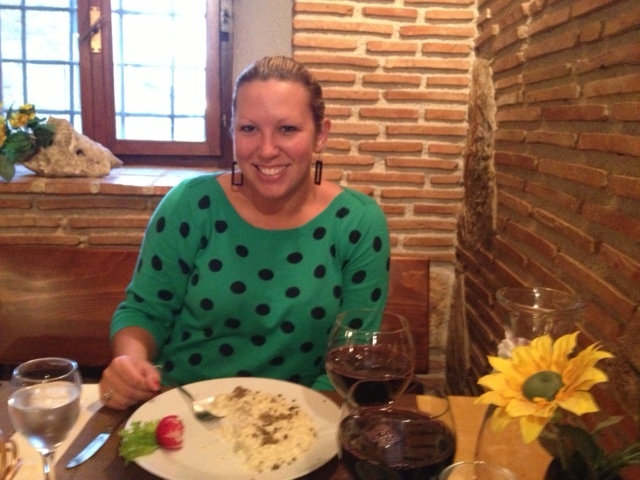 We were ravenous at this point, and I knew there was no question that I was having something with truffles. 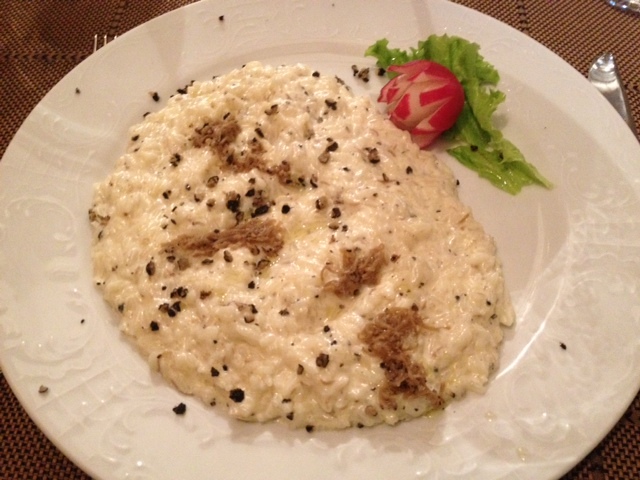 When a black truffle risotto showed up on the menu, I was sold. We also ordered their house-made Teran wine, which was unique and delicious. Obviously while I’m on my grand adventure I’m not trying new recipes and cooking up a storm. But I am in one of the best food places on earth, so wanted to say “ciao” and share a little of what I’ve ciao-ed down on. 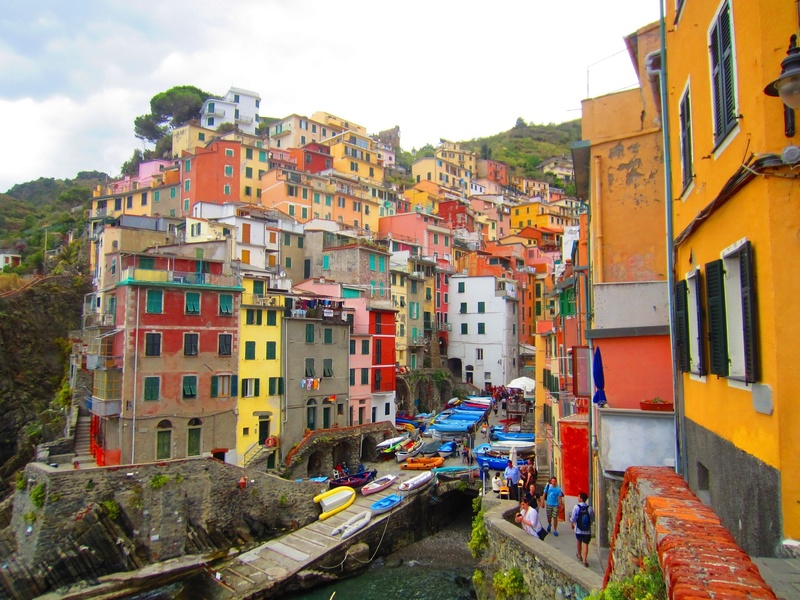 I met up with Jen (who’s living in Paris right now) in Milan and we began our trip in Cinque Terre, five little fishing villages on the northwestern coast of Italy, just south of Genoa. As I always do in this area, we stayed in Riomaggiore, the smallest and southernmost of the towns. This region, Liguria, is known as the birthplace of pesto, one of my favorite foods of all time. So of course we had to have pesto for our first dinner there. It’s served with this special pasta made specially for the pesto, called trofe. It was super delicious! As I headed out on my Italian & Croatian adventure, I killed a little time in the Atlanta airport by trying one of the most-talked-about airport restaurants in the country—One Flew South. CNN recently named them one of the top ten airport restaurants (I think in America only, though not positive). Do they live up to the hype? We’ll see. 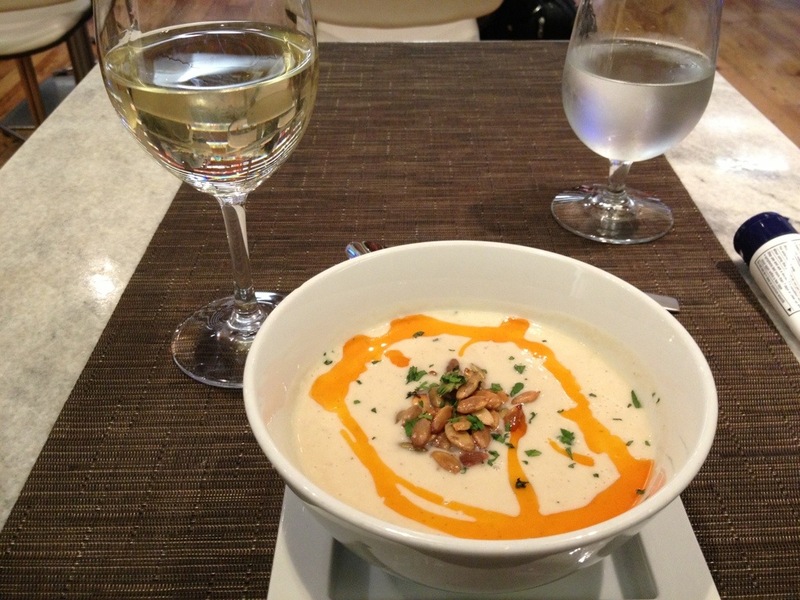 I started with a cauliflower and parsnip soup, which was beautiful and hearty. It was maybe a little bland but overall pretty good. Then I debated between the pulled duck sandwich and the awesome-sounding burger. At the waitress’s urging I went with the duck sandwich. 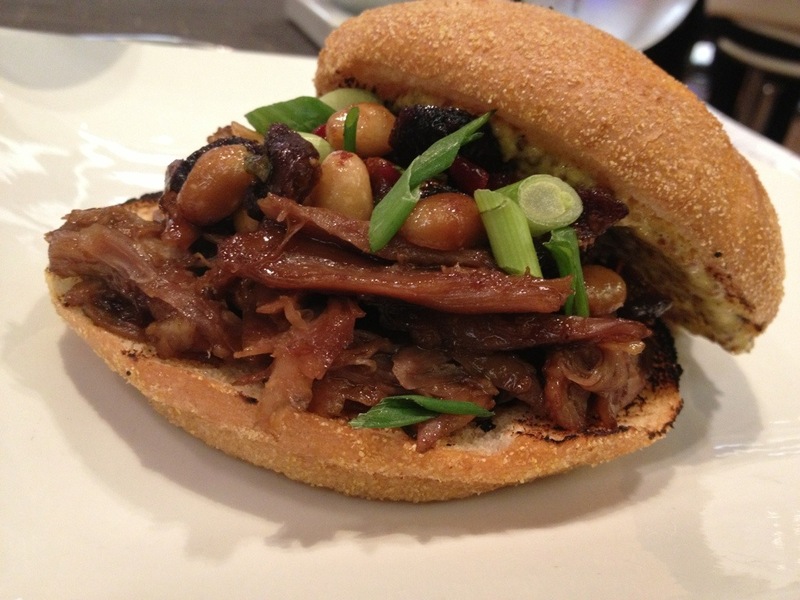 It was pulled duck with duck confit, scallions, figs, some kind of peanut relish, and a sweet-spicy mustard. Overall it was delicious. The mustard was maybe a little overwhelming for me because I’m a total wuss, but the dish overall was great. So I can safely say that One Flew South lives up to its hype. In addition to the creative and interesting menu, the service was great, the food came out very quickly without feeling rushed, and the prices were insanely reasonable. In fact, they were exactly what I would have expected to pay for the same meal in Atlanta regularly, not in the airport. My soup was $7, sandwich was $14, and wine (a pretty great Kung Fu Girl Riesling) was $8. If you end up in the E terminal at Hartsfield-Jackson or have a long layover in another terminal, definitely go check them out!